Privacy. Tranquility. 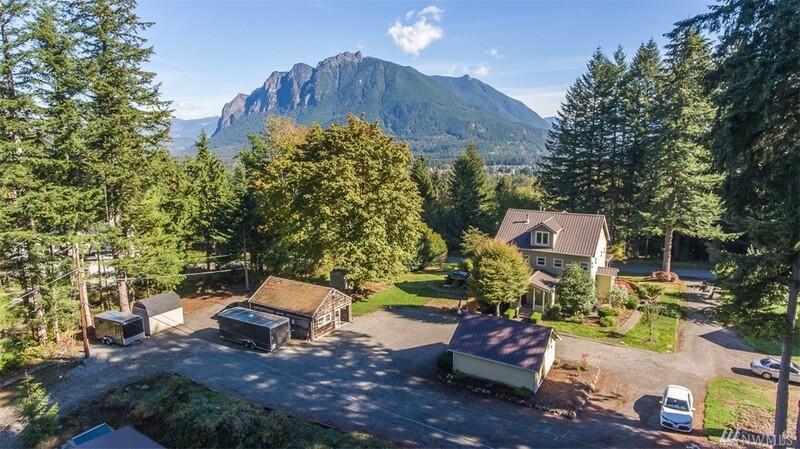 A natural paradise - Rattlesnake Ridge & Mt Si views, gently rolling, forested land with scenic creek & wildlife: deer, elk, rabbits. Stunning Craftsman with quality decor & modern flair - indoor soaking tub, gourmet kitchen with custom cabinets, stainless appliances. Spacious beds/living areas/tons of storage/huge attic & basement. Basement theater. Outbuildings & outdoor spaces galore for entertainment & enjoyment. Wired for generator. Year round solitude and recreation.